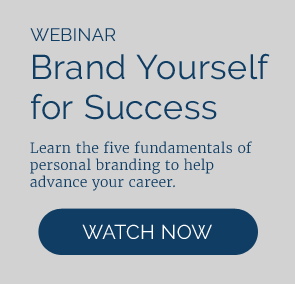 How good is your personal brand? Take this short questionnaire to see how you score. I am very well known among most people in my organization and by dozens of influential people in my industry. I get calls from executive recruiters. I am very well known among some or most people in my organization and by some influential people in my industry. I get calls from recruiters occasionally. I am very well known within my work group or department and have some limited industry contacts, mostly among lower or middle management people. I rarely or never get calls from recruiters. I am well known within my work group or department, and have positive relationships with most or all of my co-workers. I have no external industry contacts. I never get calls from recruiters. I am known within my work group or department. I have positive relationships with one or a few of my co-workers. I don’t have external industry contacts. I never get calls from recruiters. I have an advanced degree from a recognized college or I have a certificate of specialization in my trade or professional field. I have worked in one or more prominent positions (e.g. executive level and/or a position with high influence and power). I have at least a bachelors degree or certificate of specialization in my trade or professional field. I have worked in at least one prominent position (e.g. executive level and/or position with high influence and power). I have at least a bachelors degree or certificate of specialization in my trade or professional field. I have worked in one or more management positions. I have at least a bachelors degree or certificate of specialization in my trade or professional field. I have worked in an entry level position or one level above entry level that requires more than basic skills and experience. I have a high school diploma and may have formal training in a trade or professional field. I have worked in entry level positions requiring basic skills and experience. I have multiple major accomplishments in my career; one or more of these has had a significant impact on an entire industry and is well known to many people. I have significant accomplishments in my career, as recognized by my department, division or immediate work group. My boss and my entire work group, and possibly customers, recognize my positive contributions. I have had several small accomplishments in my career, known to my boss and some of my co-workers. I have had one or two small accomplishments in my career, mostly recognized via positive comments from my boss.